I was excited when I found this being made as a window curtain or drape(don’t know what name suites it best) at the Fretex redesign work-shop in Drammen. So cool I have to say! Buttons have no end when it comes to design ideas. Little treasurer, are they not? especially when put together. Think twice before ever throwing away a single button people. Mix it up with Second generation knobs. It looks good (if you like to mix things up) and is kind on the pockets. As life will have it, every thing has to change. The one constant thing in life is change it’s self. I have been living and working with Fretex Redesign Sandnes for the past 9 months. However due to structural changes in Fretex I have had to move to the Oslo branch. 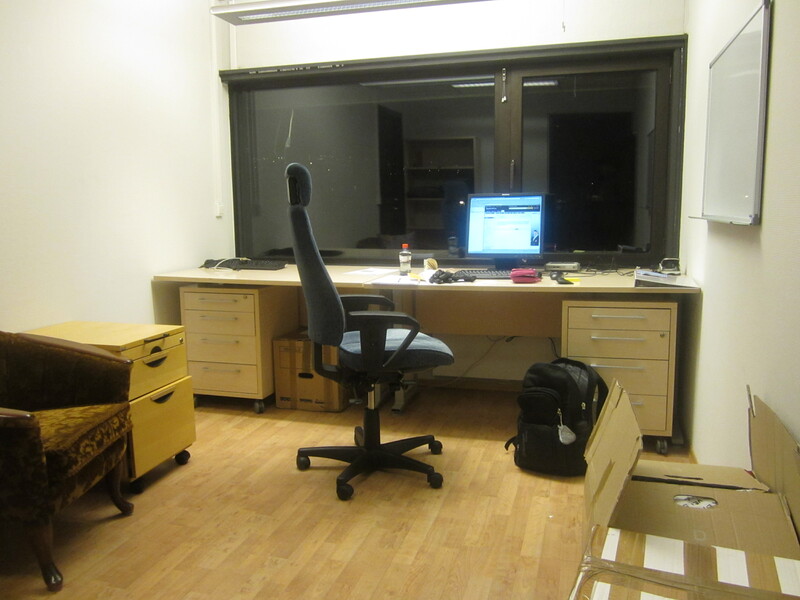 I started work in Oslo on Monday and I must say it felt good to start off the new Year in a new working environment. The holiday and merry-making season is over so it’s down to business. Day one is actually a blur now. I clearly remember hoping that I would not get lost though. It was my first trip there by myself . I went over the online travel planner (trafikanten) like I was reading for an exam the previous day. It paid off since I got there at 8:00 am sharp as I had planned to. First thing I noticed was how much bigger the Oslo Fretex is. No surprise there though since it’s the main Branch. The sorting room where all the clothes given to Fretex are inspected and sorted, The redesign work shop, the Canteen…… are all much bigger. My Office space is also bigger 🙂 (and has a view). 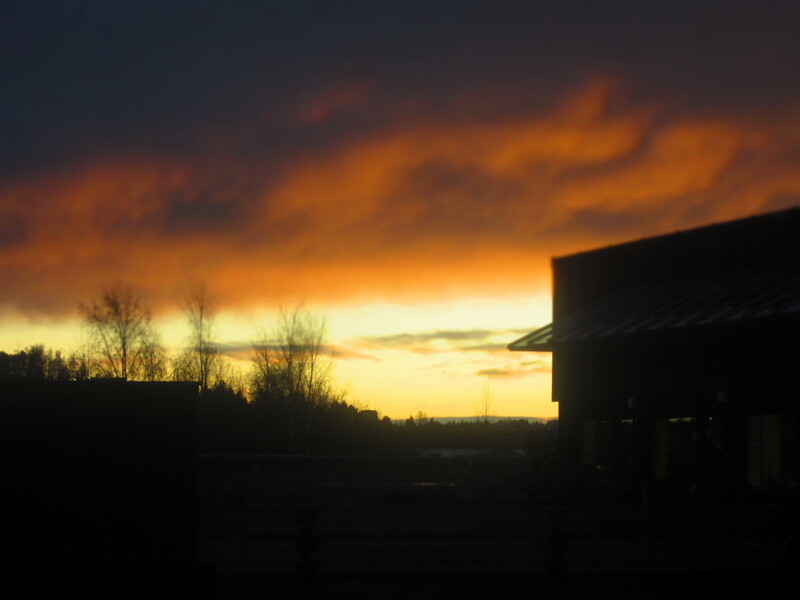 I can now watch the sun set at 3:00pm; this, I can’t get used to. 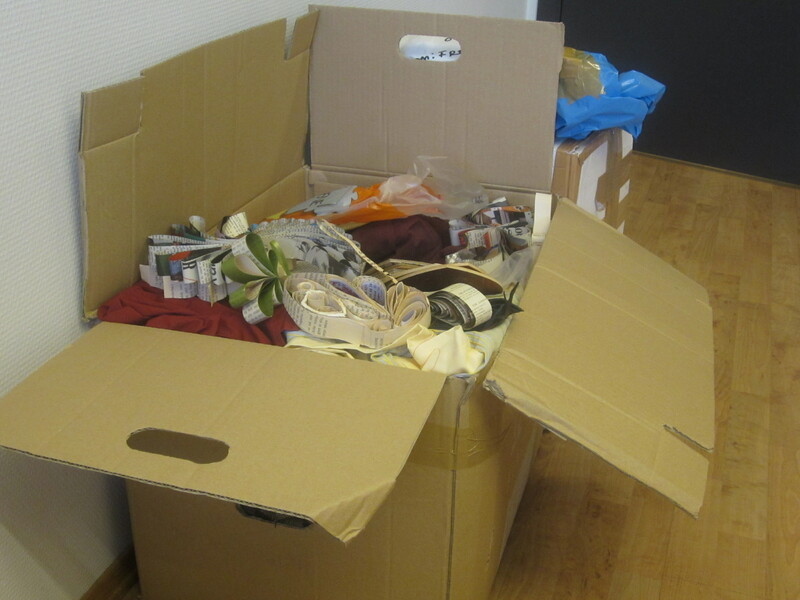 Day two, my boxes, with all the stuff I was using in Sandnes, were delivered and I had some un-parking to do. Still doing that at the moment but am sure by the end of this week I will be settled in nicely. I have to go through the embarrassing phase of forgetting people’s names within a few seconds of meeting them but other than that, all ‘s well. Every one I have met so far is really helpful and nice. I am still in the process of settling into my office and getting to know my work-mates. Lesson learnt: A work plan has to be made and frequently updated and communicated to whom it may concern, especially in a big company if things are to Run as planned. NOTE, room has to be made for change. For now, I am content with my work and the informal norsk lessons I get over lunch. Harryhandling: When Norwegians Travel to Sweden on shopping expeditions. SO… Siw our Norwegian friend ‘Stuffed her car’….as she put it, with friends from Tyskland, Greece, Uganda(me) and Guatemala. She was very determined to give us the harryhandling experience. I must say it was a good experience. Today Marks the beginning of 2012! It is actually the first new year I have celebrated away from Uganda.